It happens every year. 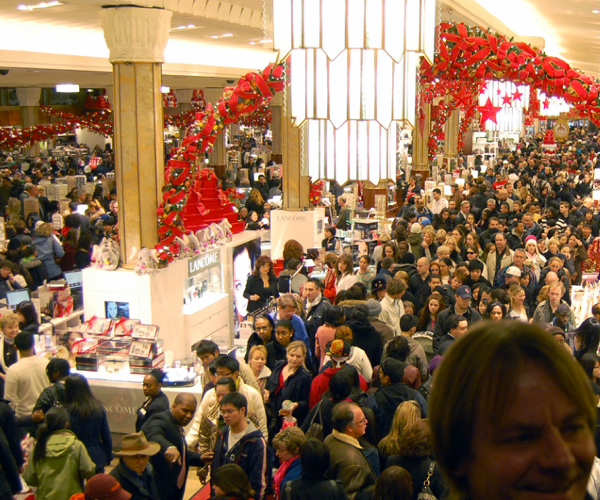 The day after Thanksgiving in the US, shoppers around the country head out in droves to pick up discounted deals that are only given for one day. This day, known affectionately as Black Friday, has planted its roots into the Internet as well with sites such as BlackFriday.com. The fine folks over at BlackFriday have given us a peek into what their visitors are expecting to buy and see this holiday season. So how big will this year be? Of those polled, 42% feel that it will be bigger than 2009, with a full 14% saying that it will be their biggest shopping year ever. But what tops that 59% list? None other than two of our favorite products, of late – the iPad and the Xbox 360. With the Kinect, the 360 is full steam ahead again just as it was after its release. What’s on your shopping list? Let us know in the comments. Think the 360 will spank the PS3? Have an iPad itch that you just have to scratch?